Gambling is a popular pastime in Cambodia, but is it legal? We explore Cambodia’s gambling laws to see whether it’s possible for Cambodian citizens to play their favourite casino games for real money on the Internet. 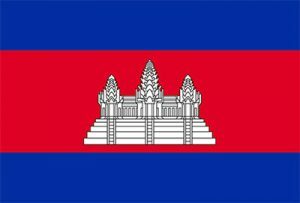 Under the 1996 Law on Suppression of Gambling, all gambling in Cambodia is officially illegal, including online gambling. Any Cambodian citizens found to be participating in illegal gambling activities are subject to monetary fines or even short prison sentences. The only form of gambling allowed is on a series of government-run lotteries. Gambling is deeply engrained in Cambodian culture, and it is even considered un-masculine not to participate, so illegal gambling remains rife throughout the country, with corrupt police officials usually turning a blind eye. Gambling addiction is a serious problem in Cambodia, and is responsible for many social issues. However, the laws prohibiting gambling only apply to Cambodian citizens, and foreign nationals are free to gamble at any of the country’s many land based casinos. There are over 70 land based casinos operating in Cambodia, which bring about US$29 million in revenue to the Cambodian government every year. Many of the casinos are located near borders with other South East Asian countries like Thailand, Vietnam and Laos, where gambling is also illegal, so many Asian foreign nationals can make quick trips across the border to gamble legally in Cambodia’s casinos. A foreign passport is required to enter the casinos. No, all forms of gambling are illegal in Cambodia, including online gambling. There are no online casino vendors legally licensed to operate from within Cambodia, and there are reports of police shutting down illegal online gambling sites. There are also reports of Cambodian players being arrested or fined for placing bets online at offshore gambling sites, so we do not recommend you play at an online casino in Cambodia unless you are a foreign national. Despite Cambodia having strict anti-gambling rules both offline and online, many of the world’s leading online casinos continue to offer their services to Cambodian players. This is because the online casinos are located and licensed offshore, so technically they run in accordance with the local laws of their certified gambling jurisdictions, and Cambodia’s law tends to focus on individuals rather than overseas organisations. The casino sites in the table above are all internationally certified venues which continue to accept players from Cambodia. It is vital you are aware even if an online casino accepts players from Cambodia, it is still illegal for Cambodian citizens to participate in real money gambling. If you do decide to ignore the laws and play at a foreign-run online casino site, please be aware you are doing so at your own risk and it is your own responsibility to be aware of the local laws applying to you. Doing so will leave you liable to possible fines or even imprisonment, so we do not recommend Cambodian players access online casino sites. These sites are recommended for foreign nationals located in Cambodia only. As online gambling is illegal in Cambodia unless you are a foreign citizen, it is highly unlikely you will find an online casino site which accepts payments using the Cambodian riel (KHR). Real money play will still be possible, but your transfers will be exchanged into a more widely accepted currency like USD, AUD, GBP or EUR. The payment methods available will vary depending on which casino site you are playing at. Commonly accepted online casino payment options include Visa, MasterCard, Neteller, Skrill, Paysafecard, ecoPayz, Entropay and direct bank deposits, but if you are playing from Cambodia you should definitely consider a web wallet or pre-paid e-Voucher for an extra layer of protection. It is also highly recommended you use a trusted VPN (virtual private network) for additional security. For a full list of the online casino sites which accept players based in Cambodia, refer to the casino table above. Please remember it is only legal to play at these sites if you are a foreign national living or travelling in Cambodia, as all forms of casino gambling are against the law for Cambodian citizens.